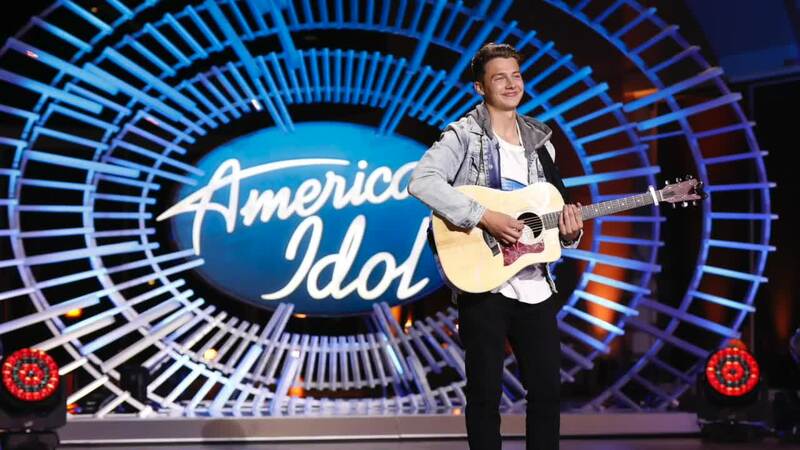 A Boise man auditioned for American Idol in Idaho. BOISE — Logan Johnson graduated from Centennial High in 2016 and now he's in the national spotlight. Johnson grew up in Boise and when he heard American Idol was coming to Idaho, he knew he had to jump at the chance. He says he's been singing for as long as he can remember. "I never went out to do anything with school or, you know, played in a band or ever had any gigs. I've kind of just kept it quiet and done it in the basement," said Logan Johnson, American Idol contestant. Before he found out American Idol was coming Idaho, he had just moved to Utah to work and get into college. He says the audition took place in Coeur d'Alene, which was filmed a couple months back. "This is Idol's first trip to Idaho and it was really cool to be from Boise and kind of be able to represent my home town, and I know that my family was super excited for this process and they've kind of been along with me for the ride through this whole thing." "Waiting in line and whatnot, but to finally get the opportunity to sing for the judges was just a really cool experience, you know, that I would be singing in front of three icons. You know Katy Perry, Lionel Richie, and Luke Bryan." Johnson says some of his influences are John Mayer and Ed Sheeran, but for his audition he performed an original song. "I'm excited to see the feedback that I can get from people and criticism, whether it be good or bad, because I know I put a lot into my own music." He hopes to continue to sing and write music to help other people going through experiences similar to his own. "I've struggled with substance abuse for a few years and I'm on a path of recovery right now, and I've got an older brother who has gone down the same path and it's kind of been a family situation. So I wanted to be able to show people that there is hope, that there's recovery out there. There's a better way of life." American Idol will premiere Sunday, March 3rd at 6:00 p.m. Mountain Time on ABC.